I love Elizabeth Gilbert. Whether she’s eating, praying and loving, writing beautiful historical fiction about botany, or just being super inspiring on Oprah, I gobble her words right up. When she announced earlier this year that she was working on a book all about creativity, I basically danced with joy like Balki Bartokomous and Cousin Larry Appleton. 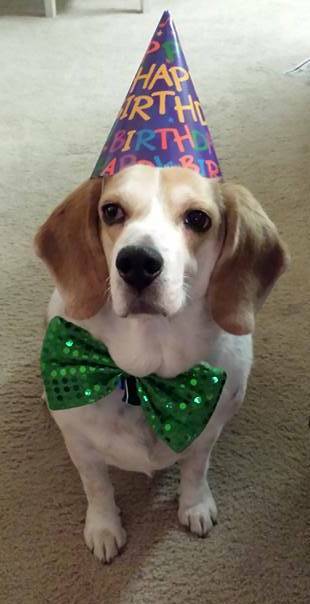 Then it was released during my birthday week, which was pretty much one of the biggest treats I could have asked for, aside from seeing this fella in a party hat. 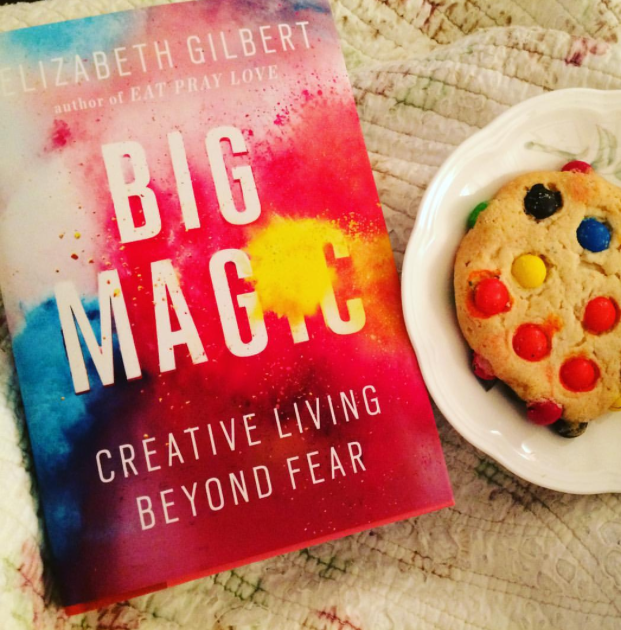 Big Magic: Creative Living Beyond Fear dives into the many facets of creativity—how we create, why we create, and why, more often than we’d like, we’re terrified to create. Ever the guiding light of mind-opening motivation, Gilbert talks about the different definitions of creativity and points out that even the stodgiest of us is more creative than we let on. (Have you ever cooked a meal in your life, even if it’s toast and peanut butter? Spoiler alert! You’re creating.) She dishes on her own journey of writing and more, posing questions and notions that could almost sound kooky if they didn’t make complete sense. Do our ideas really belong to us, or do we mutually belong to each other? Is it possible for inspiration to turn its back on us if we don’t pay proper attention to it? (Yes!) Is there ever a completely right or wrong way to do something? (No! Unless it’s brain surgery. I’d probably want to know that that was being done the right way.) Through her own experience and her beautifully stated words of wisdom, Gilbert delivers a book that will make you think, make you wonder, and make you go running to whatever it is that inspires you. I urge writers, artists, musicians, teachers—heck, even businesspeople who love karaoke to read this book. If you’re living or want to live a creative life, Big Magic will revive you and fill you with even more gumption to go for it. And if you think you don’t have a creative bone in your body? Read it anyway. Liz Gilbert will put you in your place in the kindest way possible. If you’re not already, you absolutely must follow Elizabeth Gilbert on Facebook, Twitter and Instagram for more magical inspiration. And don’t forget to check out elizabethgilbert.com for more fun stuff–she’s even got a Big Magic -themed podcast on there!